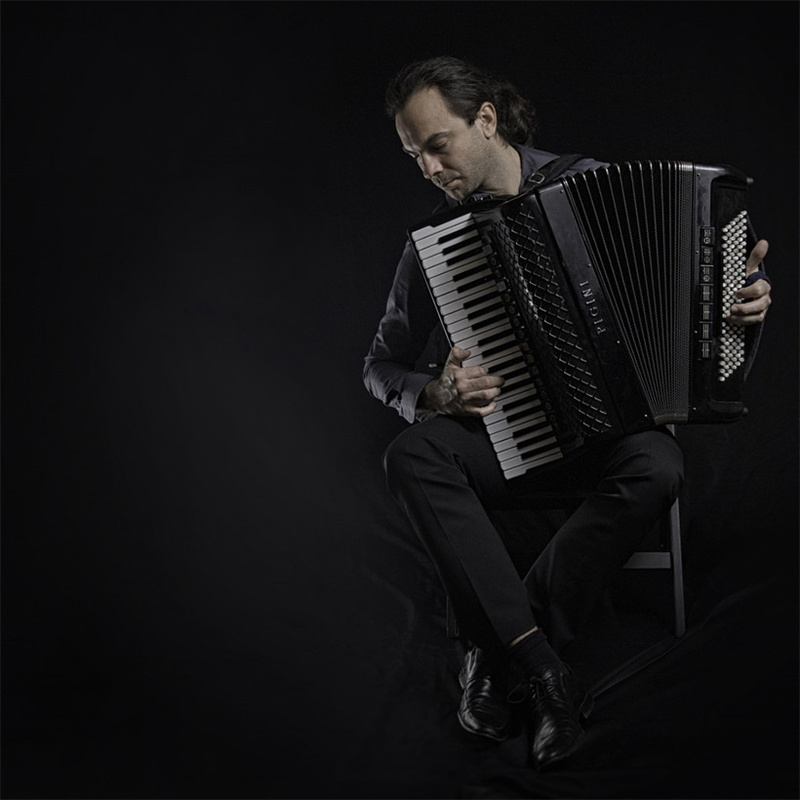 Marko Hatlak, who was described by the German newspaper Berliner Morgenpost as a darling of the audience and is believed to be one of Slovenia's best accordionists, started his musical career at the Idrija Music School when he was only six. After completing the secondary school in Ljubljana, he undertook almost a decade of music studies in Germany – first in Weimar and later in Würzburg, where he completed his master's degree with Prof. Stefan Hussong. In his soloist performances and through cooperatioon with many acclaimed soloists, ensembles, orchestras and their conductors, Haltlak has built a signature performance in 15 years of his concert performances on the stages in Slovenia and abroad. In the past, Marko Hatlak has collaborated with many musicians and ensembles of international acclaim: Stefan Milenkovic, Vlatko Stefanovski, Neil Innes and Tommy Emmanuel, Stefan Hussong, Úna Palliser, the Moscow Philharmonic Orchestra, Big Band RTV SLO, Carmina Slovenica and others. He has recorded a number of CDs on the basis of experience gained in various projects and genres (tango, classical, contemporary and ethnic music). In addition to other projects, he is currently working on a new original project, a premiere of three works by contemporary European composers at the concert in Augsburg, Germany, a tour celebrating 25 years of Slovenia's independence, and a joint project with Stefan Milenkovich, Vlatko Stefanovski and Iztok Mlakar. Elle magazine described Marko Hatlak & FUNtango as a band which "delivers a cathartic concert experience, thrusting [the audience] into another dimesnion”. Marko Hatlak started the band in 2004, following the lead of Astor Piazzolla. In 2008 the group released their first album, History, featuring the music of this Argentinian artist. Later, the band's repertoire shifted from tango nuevo, or 'new tango', to adaptations of classical musical pieces, e.g. Vivaldi's Four Seasons, musette by the French master Richard Galliana, and Hatlak's original compositions. 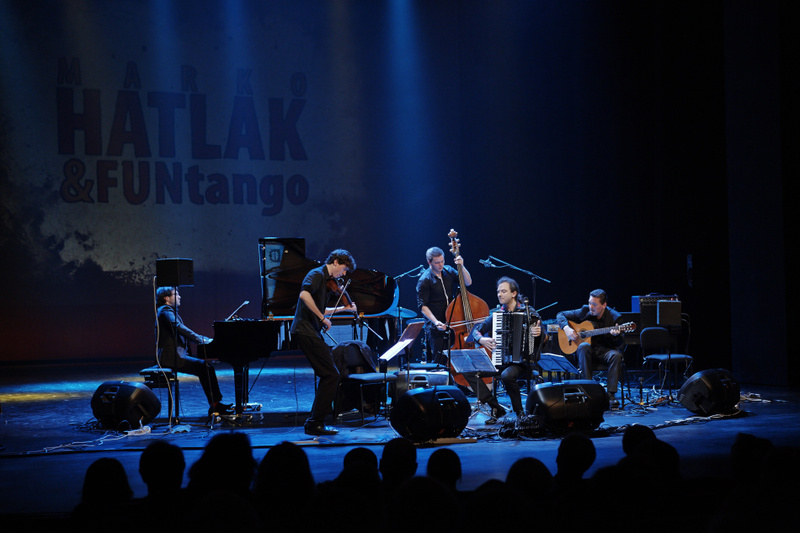 Pioneers of performing tango music in the Slovenian scene, Marko Hatlak & FUNtango have built a reputation with their explosive and sentimental interpretations. In 2017 the band recorded a new album, Present, at the Royal danish Conservatorty of Music in Copenhagen.